Check our loyal member Nasir’s last article from his tutorial on Control Systems. As we discussed earlier there are two ways to analyze the functioning of a control system, time domain and frequency domain analysis. In time-domain analysis the response of a dynamic system to an input is expressed as a function of time. 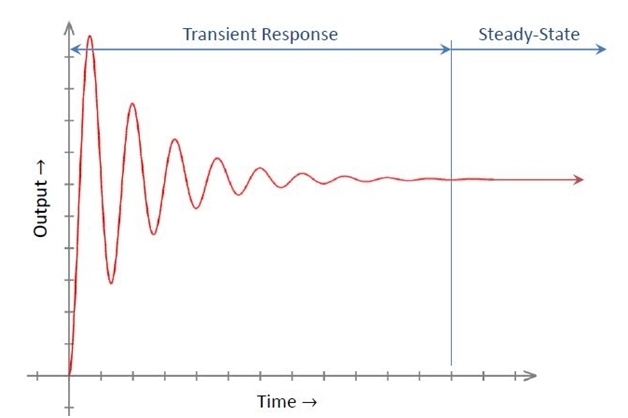 The time response can only be analyzed when the model of system plus nature of input signals are known. AS the input signals are usually not comprehended completely ahead of time, it is difficult to express the input signals through simple mathematical equations. The behavior of a system that is dynamic in nature is analyzed under typical test signals. These signals are an impulse, a step, a constant velocity and constant acceleration. Another signal is sinusoidal which is of great importance.